Losing a pet is one of the most heartbreaking moments to endure. 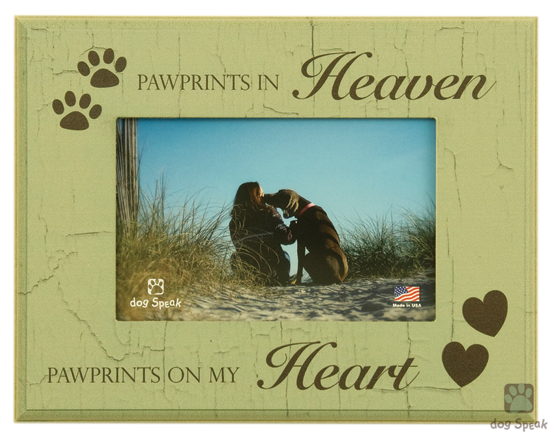 This rustic wood frame says it all: "Pawprints in Heaven...Pawprints on my Heart." Frame is 7"x9" and holds a 4"x6" photograph. Made in the USA.